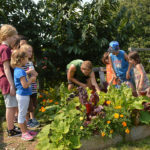 Rutgers Gardens’ youth programs offer opportunities for preschool through high-school age students to explore nature and learn about plant life cycles, natural habitats, the environment, and where our food comes from. Bring your student, scout or youth group to the Gardens, where they can explore 180 acres of designed gardens and natural habitats. 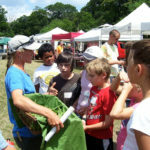 These guided programs enable children and teens to make their own discoveries about our natural world. Programs are available Monday through Friday, April through November. Choose a standard program or let us customize a program for you. Learn more about Group Exploration Programs. 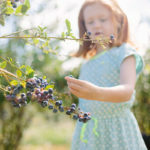 Is your child interested in exploring our natural world, its flora and fauna and growing food? If so, let them join us this summer at our week long day camp! This fun outdoor program offers children a wide variety of activities that take advantage of the expertise and the many facilities throughout Rutgers Gardens, including vegetable and flower gardens, a bamboo grove, streams and ponds, hiking trails and rolling lawns. Learn more about Summer Exploration Camp. Do you have young children who are looking to explore and discover the natural world of plants, animals, and insects? If so, join us for our Little Sprouts programs. Children ages 3-5, along with their adult partner, will be led on garden explorations to learn about nature by using all of their senses. Learn more about Little Sprouts.